You will also find the Plum Print — a data visualization where each circle represent the different metric categories by color. The larger the circle, the more metrics in that category. As a researcher, you can use PlumX Metrics to help evaluate the impact of your work and understand how individual articles are being consumed. To illustrate how this works, let’s look at this example of an Article Metrics module on Scopus. 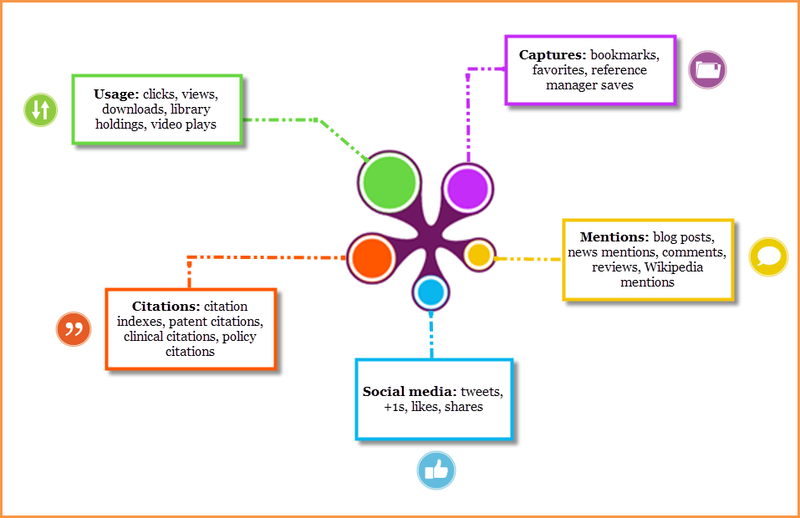 For this article, you can see the strongest interactions are in Usage, Captures and Citations, with fewer interactions in the areas of Mentions and Social Media. From this information you could conclude that the article is widely read and cited, it’s also worth taking a deeper look into Mentions and Social Media to determine whether or not you want to explore ways to further promote your work. As another example, let’s consider an article that was recently published and therefore not available long enough for citations to accrue. Here, PlumX Metrics can provide some early indicators about the impact of your research. Does your Plum Print show larger circles in the Usage (green), Captures (purple) and Social Media (blue) areas? This could indicate that your article is already being consumed and talked about, giving you early analytical information that you can begin using to showcase your work. 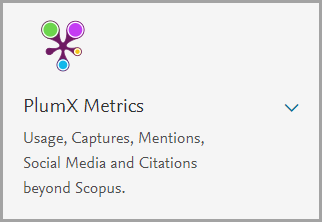 These are just a couple of examples of how you might use the new PlumX Metrics in Scopus. If you would like to learn more details behind the metrics and how they can help you tell the story of your research, join our next webinar on August 10.